Let food be thy medicine and medicine be thy food. This is an old adage that originates with the father of Western medicine, ancient Greek physician Hippocrates—and for good reason! Nature has provided us with the goodness that we need for our well-being. 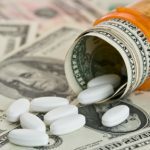 Even Big Pharma has leveraged medicinal plants as the source for lifesaving drugs. Many scientists around the world have discovered the healing and antimicrobial properties of numerous therapeutic plants. Recently, our societies have seen a shift toward more natural and homeopathic remedies rather than opting for drugs. 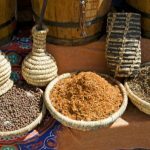 If you are one who would like to hop on the bandwagon toward natural healing, here are some easy ways to get started. A key component of apple cider vinegar is the malic acid, which gives it the power against viruses, bacteria and fungi. I even have heard of it being used as a deodorant because of its proven effects in fighting bacteria and absorbing and neutralizing odors. Fear not! The pungent odor does dissipate once it dries. Not only does apple cider vinegar contain antiseptic, antimicrobial and antifungal properties, but it can trigger weight loss, too! Apple cider vinegar can be used to increase the body’s metabolism and stimulate fat burning when consumed every day before meals. It will make you feel fuller and eat less. Apple cider vinegar is what is known as anti-glycemic. This means that it has a positive effect on blood sugar levels. 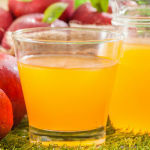 A study on Mercola.com involved 29 people who were given two tablespoons of apple cider vinegar before consuming a meal. These individuals were found to lose approximately two to four pounds during a four-week period. Apple cider vinegar can help people with diabetes or those at risk of it. In 2004, a study published in the American Diabetes Association journal Diabetics Care found that taking apple cider vinegar before meals helped decrease insulin and glucose spikes that typically occurred after meals. Apple cider vinegar contains a plethora of vitamins and minerals, such as vitamins B1 (thiamine), B2 (riboflavin), B3 (niacin), B6, B7 (biotin) and B9 (folic acid) as well as Vitamin C, potassium, calcium and magnesium. Due to its alkaline properties, it can be used to soften and shine your hair, making it feel smooth and silky. This potent substance will clear up and remove dirty residue and oils, and it will balance the PH in your hair. The research definitely looks promising in this area. Whether or not you have any of these ailments, it’s wise to incorporate some apple cider vinegar into your diet. It’s easy to incorporate your diet or use it topically with these easy recipes from Mimi’s Organic Corner. ACV Tonic—Mix two teaspoons of ACV in two cups of water every day. Drink it before or during meals. To sweeten this up, use stevia, maple syrup or molasses. A pinch of cinnamon may help you get it down. Apple Cider Vinaigrette Salad Dressing – Mix apple cider vinegar, Italian herbs and your favorite oil. I suggest sesame, hemp or avocado. Then add honey, crushed garlic, sea salt, black pepper and some feta cheese and drizzle over your favorite green salad. Pickling – Pickled veggies have tremendous health benefits and are a fantastic side to serve with drinks or as a crudité. This is a great use for apple cider vinegar. To prepare your pickling potion, combine apple cider vinegar, water, sea salt and chili powder and then boil. Remove from the heat and add cloves, garlic and your favorite veggies, then return to a boil. Then remove the mixture from the heat and cool for a while before refrigerating. Serve cold. Tomato Sauce – Prepare your favorite sauce as usual and then add a tablespoon of apple cider vinegar to give it a tangy flavor. Some of the ways I have used apple cider vinegar topically range from making a hair rinse to relief from warts or athlete’s foot. For the hair rinse, mix 2 parts water to 1 part apple cider vinegar. Use this mixture after shampooing with your favorite chemical-free shampoo. For the warts, douse a cotton ball with apple cider vinegar and squeeze the excess juice out. Apply the cotton ball to the affected area and cover with gauze. Wear a sock overnight until symptoms subside. Oregano oil is highly respected in the natural health community, but it also is being extensively reviewed within the scientific community as well. The US National Library of Medicine’s National Institute of Health reported that oregano oil is a powerful tool that boosts immunity, especially in the case of germs and outside invaders like salmonella. When ingested, it works to protect your body from harmful organisms that may have been consumed by eating undercooked meat or impure water. In a study discussed on Pub Med, oregano oil was dispensed to 14 adult patients whose stools tested positive for parasites. After six weeks of oregano oil consumption, gastrointestinal symptoms improved in 7 of the 11 patients whose stool samples tested positive for enteric parasites. The good news for allergy sufferers is that oregano oil quiets the effect of hypersensitivity to environmentally caused allergens and relieves congestion. This effect is due to Rosmarinic acid, which is an antihistamine and a more potent antioxidant than Vitamin E.
Carvacol is the phytonutrient in oregano oil that gives it its antimicrobial properties. This powerful ingredient enables oregano oil to fight infection and keep candida away. Oregano oil also can be effective combating the Staphylococcus bacteria. I have used oregano oil over the years to boost my immunity because of its abundant antioxidants. And it’s helped me keep my family’s colds and coughs in check. If you would like to incorporate oregano oil into your regimen, make sure to note the amount of carvacol it contains and try your best to buy it organic. You can ingest it or use it topically. Try these suggestions from Mimi’s Organic Corner. Using organic oregano oil, place 3-4 drops of oregano oil in a tall glass of water and drink three times a day. 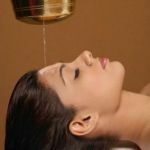 Use organic oregano oil topically by creating a mixture of oregano oil with coconut oil and rub it on the affected area. Garlic is a proud member of the onion family. It is truly one of nature’s best at providing powerful protection against infections, parasites, yeast, bacteria and candida. The principal phytonutrient in garlic is called alliin and is what gives garlic its protective and immune boosting properties. 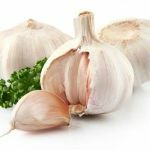 The best health benefits are gained by using raw garlic, and when crushed, the enzyme allinase converts the allin into allicin, which contains sulfur. It is the sulfur in the allicin that gives the garlic its distinctive aroma. Garlic is used in preparing savory dishes due to its aromatic fragrance and its delicious flavor. However, if you evaluate ancient history, the main use of garlic actually was not for cooking, but for its healing effects. The use of medicinal garlic has been recognized by all of the major civilizations that prospered throughout history. Included in that list are the ancient Egyptians, the cradle of civilization Babylonians, ancient Greeks, the Roman Empire and the Chinese. Garlic is well-known for its ability to boost the immune system and prevents colds from lingering. This was proven in a 12-week study in which those who received a daily supplement of garlic were less likely to get a cold and healed faster if they were infected. Another study showed that colds were shorter and less difficult in those who ate some garlic extract every day. In fact, when I feel a cold coming on, I eat raw organic garlic between two slices of organic apple to diffuse the burning sensation when eaten raw. This literally stops the cold in its tracks almost instantly. Garlic is exceedingly nourishing to the body and contains all of the nutrients we need. It is loaded with vitamins and minerals including manganese, B1, B6, vitamin C, selenium calcium, iron, potassium, copper, phosphorous and more. This is exactly what makes garlic one of nature’s most powerful medicines. If you like garlic, it is easy to incorporate into your meal preparations. 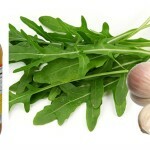 It works with most everything, from cooked savory meat or veggie dishes to flavorful raw recipes. Check out these suggestions from Mimi’s Organic Corner. This recipe is a true staple in my home. It’s raw, provides abundant nutrients and is delicious over a salad or as a veggie dip. Tahini makes a tasty condiment for a variety of sandwiches, too. Combine ¼ cup of organic raw tahini paste with ½ cup water, 1 organic lemon, and 2 cloves of organic crushed garlic. Add ½ a teaspoon of your favorite salt. Sometimes I add a splash of balsamic vinegar over the salad and tahini on the plate. Saute chopped organic peppers with organic coconut oil. Add 1 finely chopped eggplant with the skin in place. Saute until soft, adding oil and water as needed. Add 1 teaspoon of salt, ½ teaspoon of organic black pepper, ¼ teaspoon of organic cumin and paprika. Squeeze an organic lemon over the eggplant and mix. Transfer to a glass baking dish and add 3 cloves of organic minced garlic in the raw form, a ¼ cup of organic fresh cilantro and serve warm or chilled. Miriam, also known as Mimi, is a health food advocate who is passionate about natural foods, natural health, homeopathic remedies and a green toxic free lifestyle. 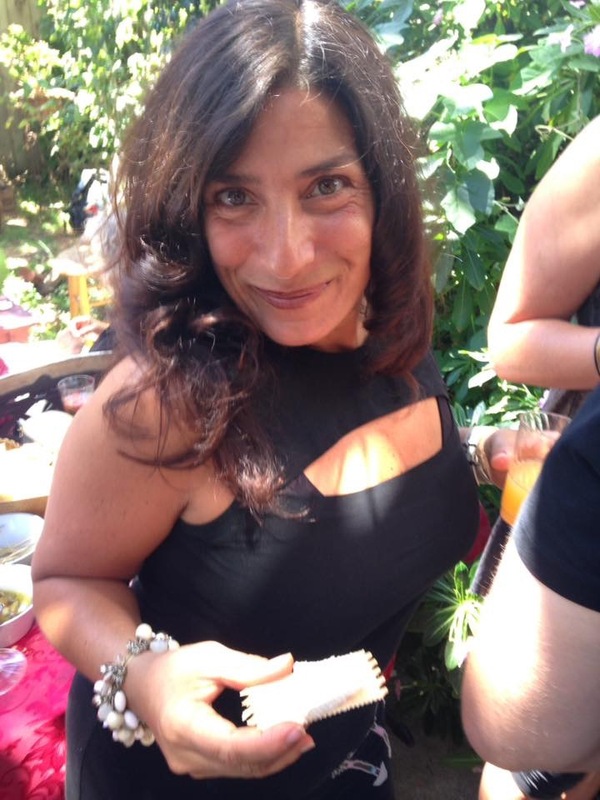 She has been a student of natural healing modalities for several years and has a strong passion to create awareness and teach others how to lead healthier lives by showing them how to reduce the toxic burden on their immune systems. She shares naturally safe, simple, and highly effective home remedies that work. Her goal is to educate and empower consumers to take action and protect themselves from the toxic effects of the chemicals found in our food supply, household products and life saving drugs. By spreading the word on healing foods, herbs, vitamins, minerals and phyto-nutrients, Mimi hopes to inspire others to head for the garden to stay healthy.